Greek cuisine is essentially Mediterranean cuisine which is known to be one of the healthiest diet in the world! Food in Santorini is no different. 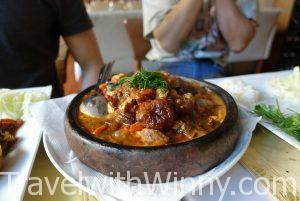 Their meals have in abundance of olive oil, herbs, lemon juice, vegetables, fish, wines and various meats. 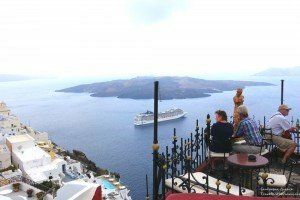 In this article I will recommend some food in Santorini that can’t be missed! 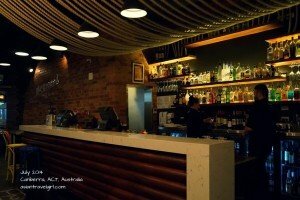 Playground Bar is situated near the Civic in the heart of the city at Garema Place. This is a little tapas bar with quirky decors and fun atmosphere. My friends came here last month for a catch up, so I was excited when Rita said she is willing to come here again. As soon as I walked in, I noticed the ropes hanging over the ceiling, had a contemporary feel to it.We were seated at a high-rise table with bar stools, it was fairly quiet at 6.30 pm. The waitress gave us a “winter menu” on a printed piece of A4 paper and took our orders using her iphone. Kaffana is an Eastern Europe bar on Peel Street. We visited this place after being rejected from the new 2KW Bar that has opened above Jamie Oliver. The food was great with a large selection of alcohols. Even though we finished our meal pretty quickly. The waitress still kept bringing us water with no signs of rushing us. I am glad we visited this place instead, it was a great environment for catch ups. Ever since I came back from Morocco, I have always wanted to show people what to eat in Marrakech. Discovering what to eat there was the highlight of our trip, since both York and I love to eat! 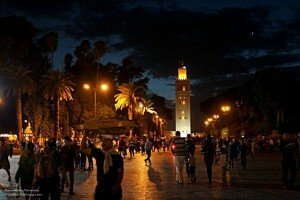 Djeemma El-Fna, a UNESCO World Heritage Site in Marrakech is one of the busiest squares in Africa, filled with exotic food! York and I came here specifically to try the lamb head, snails and other weird things you can’t find else where in the world! Essaouira is one of our highlights in Morocco. York and I both love seafood and Essaouira has plenty of them. Essaouira is a small coastal town that became a UNESCO World Heritage listed city in 2001 due to its significance in history and culture. Spain, France, Netherland and England all wanted to take over this place. 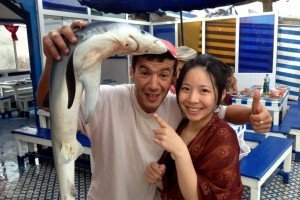 It is a popular destination for Morrocans to have their honeymoon, however we did not find romance here, we found what we love the most- abundant of fresh, cheap seafood! Comida Catering Co. is a small store inside central market. 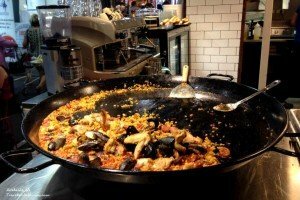 It is a Spanish tapas bar and making its mark in the market with its huge paella pan cooking right in front of the shop. Although we were quite early for dinner at around 5pm, the shop is already packed out with customers. Most people were drawn in by the paella. Some of the customers were even shop staff of other stores in the market. There were three separate tables set up next to the walkway and two long benches attached to the cooking area. After Winny finished work we decided to go to The Maid to have their Monday special. The special includes 250g of Porterhouse steak with chips, salad and choice of sauce. 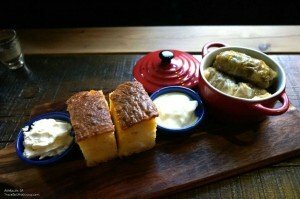 The meal also includes a drink and the choices are either a cup of Shiraz, Riesling or a Pint of Hahn Super Dry. This deal is available in the front bar or at the beer garden. The deal is quite decent and the bar isn’t too crowded although we went to the bar just after five for our meal. The front bar area is quite specious and there were multiple areas to watch sports on huge flat screen TVs. 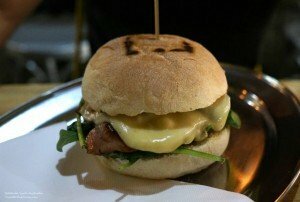 After late night shopping today we went to one of the Rundle street pub called Austral Hotel for dinner. 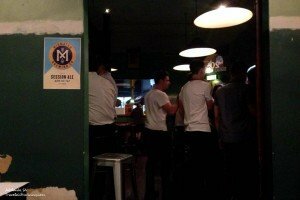 It is quite a popular bar close to the two universities and is quite packed with university students and young professionals who gather there after work. The Austral usually has a local band playing during weekends and the place can get quite rowdy inside. It was our first time eating in the pub and it sure was noisy from the band and people yelling over each other. Crave 443 is a new burger joint in town, opened only in October last year. It is located on Pulteney Street close to South terrace. 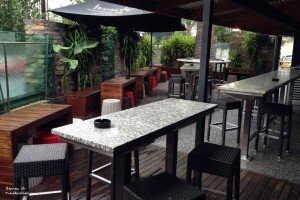 The place has a street style feel with simple décor and wooden benches. Although it is in the CBD, this location is a little quite at night time especially the day that we went is a hot humid rainy week day.